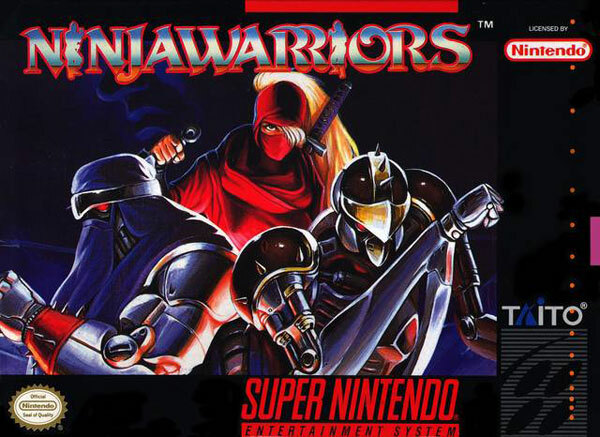 Ninja Warriors for Super Nintendo features three androids have been given the skills of ninjas. They are to defeat the enemy forces and destroy the tyrant Banglar. Fortunately, the android heroes are equipped with a number of weapons including swords, fists, knives, curved steel blades, and their own bodies.